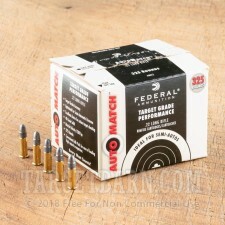 This Federal AutoMatch 22 LR ammunition is a great option for plinking and target shooting with your favorite 22 LR firearms. These AutoMatch rounds are designed to function in today's semi-automatic firearms. 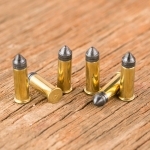 These rounds feature a 40 grain lead round nose projectile that leaves the barrel around 1,200 feet per second. 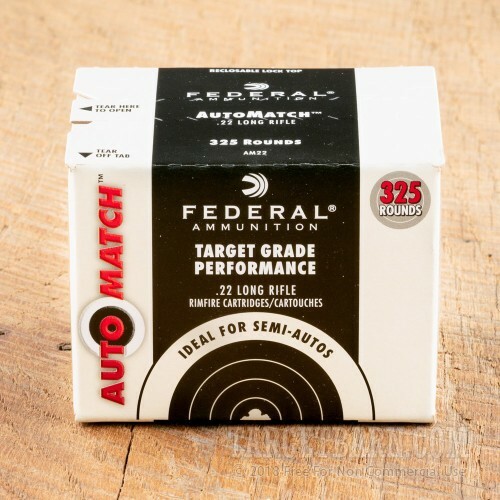 Federal has been in business since 1922 and is trusted by shooters and hunters worldwide. Their products are made in America with the 22 LR ammo coming from their Anoka, Minnesota headquarters. Federal is a member of Vista Outdoor Sporting who owns several other big name ammo manufacturers. 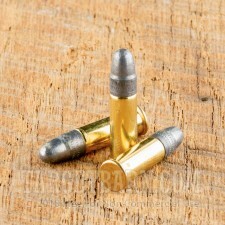 These 22 LR rounds are non-corrosive and loaded into rimfire primed brass cases.